Build highly engaging business applications that are tailored to meet your company’s unique needs. FlowCentric Processware is a business process management (BPM) platform that enables you to develop digital form-based applications. With FlowCentric Processware you can quickly build, integrate, and evolve process-driven applications for any company, without adding unnecessary complexity to their IT architecture. FlowCentric Processware is built on the Microsoft platform and runs on either Microsoft SQL or Oracle Database. Trusted by private and public institutes for nearly two decades. Is our BPM software the right fit for your company? Every company uses processes to run their operations. Controlling the way that these procedures are performed can give your organisation the advantage it needs to outperform its competitors. 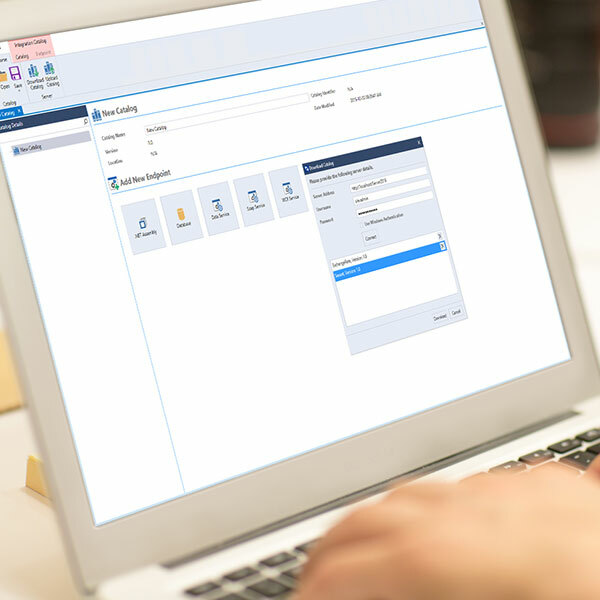 The FlowCentric BPM software allows organisations to digitise and automate recurring tasks in any process, no matter whether the process is complex or simple. The software is designed to operate across departments and existing software systems. FlowCentric Processware is ideal for organisations that want to embrace digital transformation, innovate easily, gain results quickly and encourage the development of new process-driven applications. The software is perfect for companies with 100+ employees that want to digitise an unlimited number of processes, improve operational efficiency, and enforce legislative controls. Organisations are charged for the number of user licences that they require, and not for the amount of processes that they automate. This makes FlowCentric Processware the perfect BPM platform for companies that are serious about implementing digital transformation and increasing efficiencies across their business. With FlowCentric Processware developers can quickly create and deploy visually appealing, standardised web applications. The intuitive and consistent screens encourage swift user adoption and allow new employees to get up to speed quickly and be productive in minimum time. The Notification, Escalation and Routing Engine is built into FlowCentric Processware. Developers don’t need to concern themselves with this code and can concentrate on developing applications. The Notification, Escalation and Routing Engine allows users to receive new task notifications via SMS or email, route tasks to other team members, and escalate outstanding tasks. This feature ensures that processes keep moving until they are completed. Developing fast and simple search screens can be complicated, especially when the data fields differ from one process to the next. FlowCentric Processware’s Integrated Search Engine automatically searches across all data fields, which means that your developers can rest easy knowing that users can find their processes even after new fields have been added. FlowCentric Processware’s Integrated Search Engine allows users to find current and archived data quickly and easily. Employees no longer need to search through network drives or emails. Developers don’t need to create administration screens for user management as FlowCentric Processware ships with a management console, making the configuration of user permissions easy. FlowCentric Processware’s Security Framework ensures that each employee has access to the appropriate levels of information and authorisation rights. Each user can operate with the confidence that they are not authorising anything beyond their authority level. FlowCentric Processware’s Integration Framework removes the complexity of integration from developers. Developers don’t need to work out how to write to various databases, web services or .Net DLLs, they can simply select the required method from the endpoint and use as needed. FlowCentric Processware’s Integration Framework allows organisations to connect multiple systems with a single interface. This method makes it easier for employees to perform their tasks as they don’t need to swap between multiple systems, as they can action their tasks from one consistent interface. FlowCentric Processware’s Versioning Framework encourage process improvements. Developers can manage process updates on a granular level, with no negative impact on productivity. FlowCentric Processware’s Versioning Framework simplifies the deployment of new processes, which encourages faster turnaround times on updates and enhancements. Developers can enable the reporting feature in FlowCentric Processware, ensuring that process data is logged into relational reporting tables. This feature appeals to developers as it allows them to develop reports without any need to extract data from system tables. With FlowCentric Processware’s Reporting and Analytics Framework, all data from tasks is logged from the beginning of every process, which means reports can be written and defined at any time using this data.